YAY! It's Monday... this weeks card is a Birthday Card for my Daddy this time. I'm still trying to figure out the right settings on the Minc to get a perfect foil each time, my results are a bit hit and miss but I'll get there. 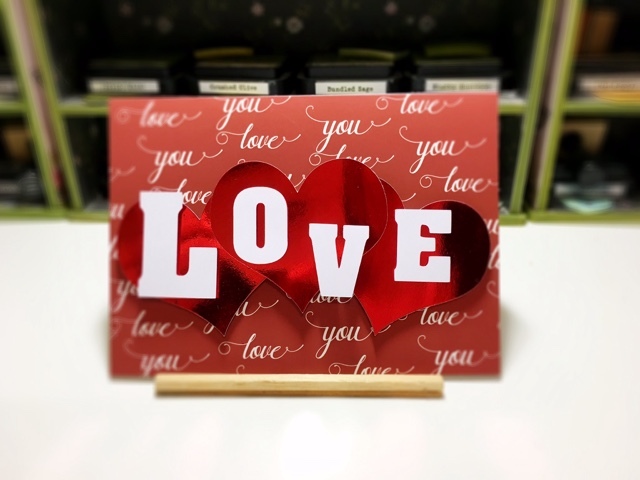 This was a really easy card to do, it was all designed with the Silhouette Program. 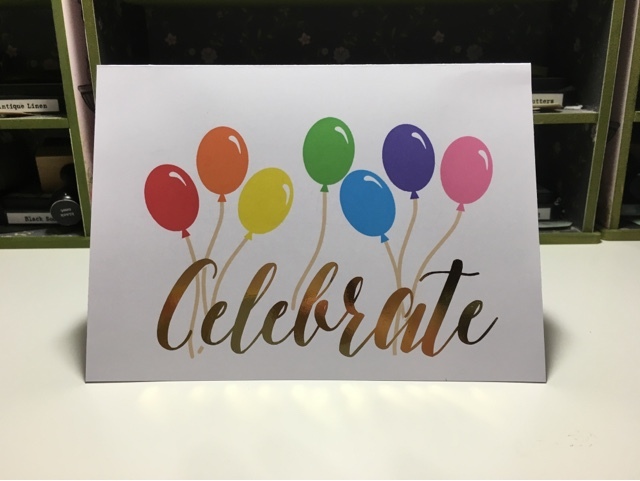 The word Celebrate was printed with a laser printer, foiled with the Minc, then the card put through an ink jet printer to add the coloured balloons. I added a sentiment inside to finish the card off. So much fun 😊. Happy crafting till next week! Happy Valentine's Day to all those crazy lovebirds out there!!! Well it sure has been a while since I did any serious paper crafting but I promised myself that this year I was going to make time... and I am. It may only be one day a week but that is so much better than none. I think I've found my happy place again 😊. 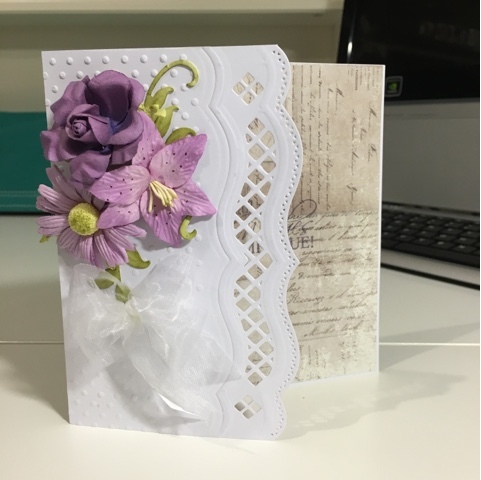 A card using some spellbinders dies, can not tell you how happy I am that I managed to work out the right recipe to cut then emboss the different layers... go me!